In 1922, Charlie Chaplin improvised “Nice and Friendly”, a short sketch with Jackie Coogan, Lord Louis Mountbatten and Lady Edwina Mountbatten. 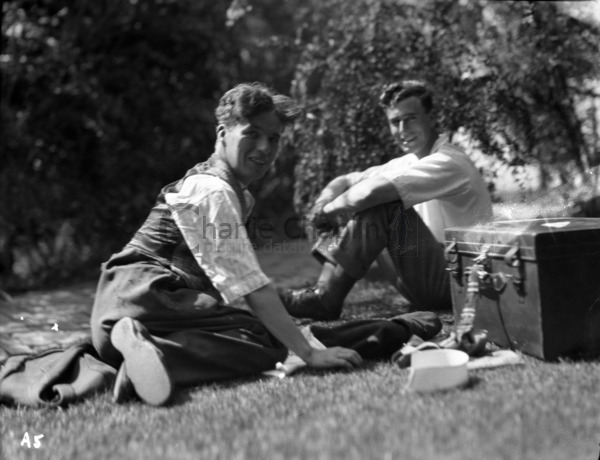 The home movie was Chaplin’s wedding present to the Mountbattens, who were in California for their honeymoon. 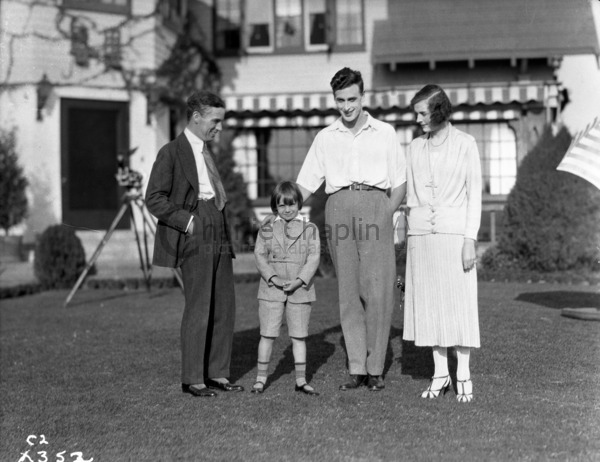 It was shot at Pickfair, the home of Mary Pickford and Douglas Fairbanks. The film was never released in cinemas.